The solution to virtually any soil problem is one and the same – organic soil amendments. You’ll be hard-pressed to find synthetic amendments that aren’t linked to serious potential side effects. However, organic counterparts are eco-friendly, safe for your family and your pets, and they often have more dynamic and long-lasting benefits. Organic amendments help loose soil particulates bind together, creating a more stable base for plants and flowers. They also increase moisture retention, which is critical in our arid landscape, helping to prevent the overuse of precious water resources. Organic soil amendments cultivate a more diverse nutrient base and act as food for mircoorganisms and other forms of life that are integral to healthy soil. 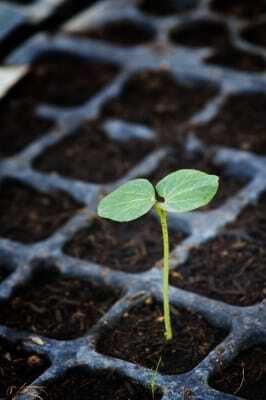 Ideally, soil should be about 25 percent air, and 5 to 10 percent organic material. Too much clay. Organic amendment will increase soil porosity, as well its permeability, giving roots the space and water they need to thrive. Excess sand. Sandy soil is so loose that water and nutrients just wash right through it. In this case, organic materials will bind soil particles together, providing a more solid foundation for water and nutrient retention. The first step is to identify what your soil issues are, and then create an organic amendment solution. Organic soil amendments come in three basic forms: manure, compost and peat. The best versions have coarse components. While manure and compost are wonderful for reusing and recycling, peat has to be harvested, so be careful about your sourcing. For example, our native Colorado Mountain Peat is a local product, but harvesting it destroys our mountain wetlands and stream beds. So do your homework, or work with a professional to choose sustainable options. Once you’ve selected your organic amendment(s) of choice, you will lay it down in a 2-inch layer over existing soil.